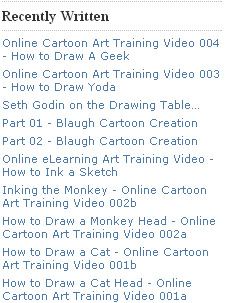 There are a lot of videos of the owner doing drawings, which may be a more useful way for some people to learn. I do laugh a bit at that 7th article in the recently written list – Inking the Monkey. I suppose that’s what all the cool kids are calling it these days.